By unconcealing the beliefs that create resistance, you then are at choice to shift that belief to something that is far more empowering. This allows you to have what you say you want with ease and effortlessness, even if it seems impossible. 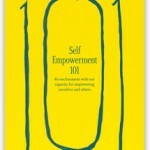 In Self-Empowerment 101, we decode particular beliefs and interpretations that interfere with manifesting the life you are wanting; investigate the real hostage takers, the ones that completely sabotage any movement beyond the edge of your comfort zone & the fear of personal power, the fear of success and the fear of failure; and explore your stand for invulnerability, which limits your willingness to reach beyond your safety zone. We also investigate hope, faith and knowing as traveling companions. 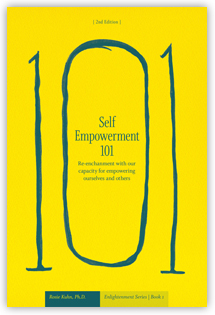 Empowering you to be with what most confronts you with integrity and accountability is the bottom line for self-empowered living.